Open Jump Tickets are your all access pass to FUN. With multiple attractions to choose from you will find something that appeals to everyone. You can jump and perform acrobatics all while our Rockin’ Jump staff monitor safe play from all angles. 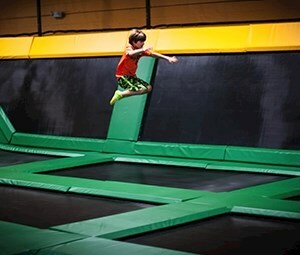 Come alone or bring a friend, Rockin’ Jump offers the ultimate entertainment experience.